Just can't stay away from MOHAI! 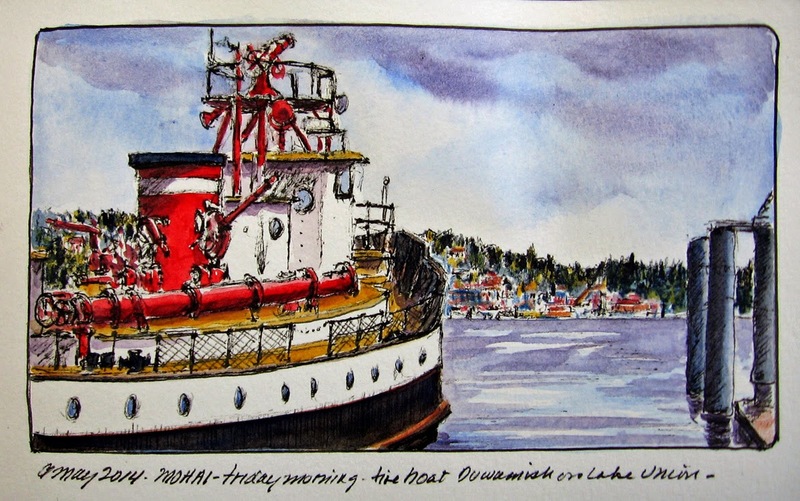 Even though I was here last Saturday with the Urban Sketchers, I knew I had to come back and not just because I am passionate about history and all that MOHAI represents but it is my passion for all things maritime that excites my creative juices. The fact that is is an urban setting only adds fuel to my creative fire. Glad you got the posting figured out. Great sketch!